Editor’s note: There are certain designs in watchmaking that never fail to hit all the right notes. And a panda dial is one of those instances. I mean, there’s a reason why certain models with these exotic dials command such a huge premium at vintage watch auctions. When it comes to the latest Montblanc TimeWalker chronograph, however, it’s not just its creamy contrasting cappuccino dial that is sure to make hearts race. 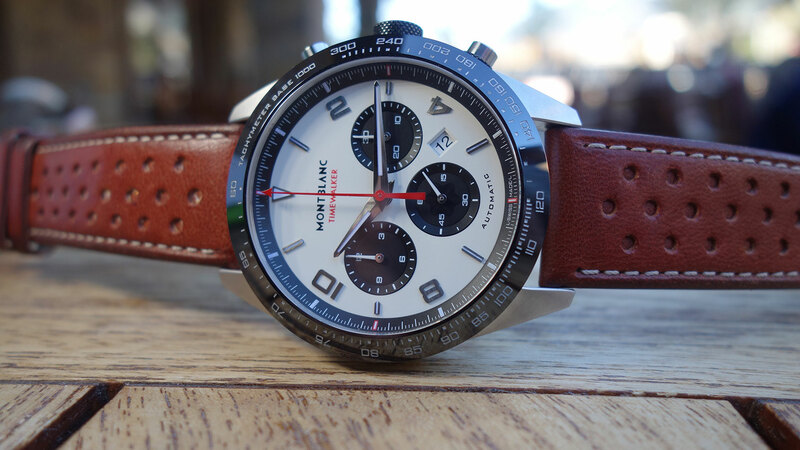 There’s also a solid stable of strap options, a ceramic bezel, and an impressive in-house column wheel chronograph movement. Earlier this year I had a chance to have a look at Montblanc’s pre-SIHH offerings in scenic Wyoming, including this smart new evolution of the TimeWalker, the TimeWalker Manufacture Chronograph. 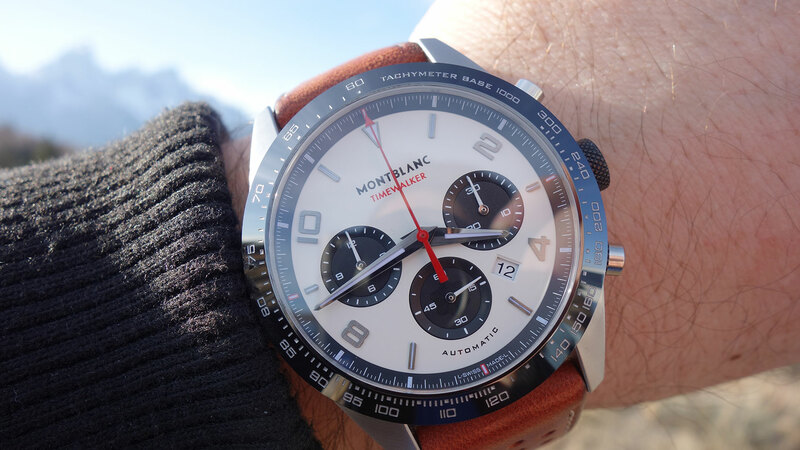 There are two big changes to this 43mm sports chronograph; let’s start with the most obvious first. The dial. Instead of the black or silver tones of the existing TimeWalker chronos, this time we get some added vintage style, in the form of the ever-popular ‘panda’ dial (so named because the black on white layout looks a little like the endangered bear). The matt dial finish has a slight creamy look, in line with the retro vibe that’s going on here. The small seconds subdial has the inlaid Montblanc star. You’ll also notice the ceramic bezel is now fixed, and shows a tachymetre scale instead of a 12-hour readout. All told, these changes result in a strong, high-contrast look that’s always popular, and has been used by many (many) brands over the years. 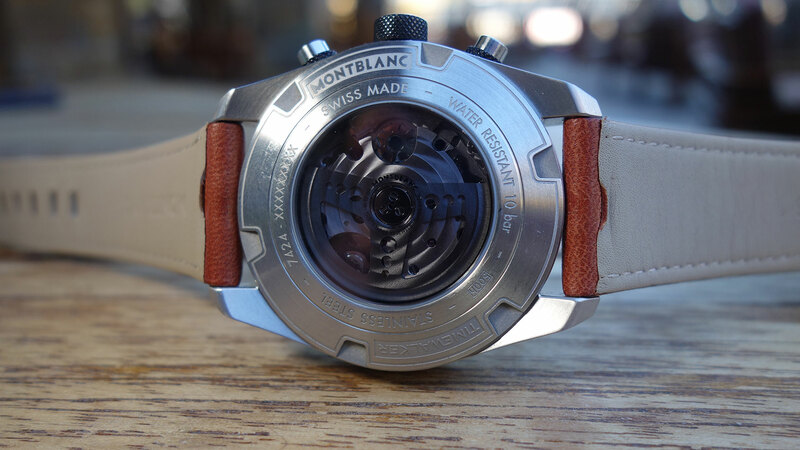 If you’re eagle-eyed, you may have noticed that this is now called the ‘Manufacture’ chronograph, and for me it’s the movement, the Calibre MB 25.10, that’s the really exciting development. This new movement is a column-wheel chrono with 46 hours of power reserve (visible through a smoked sapphire caseback). 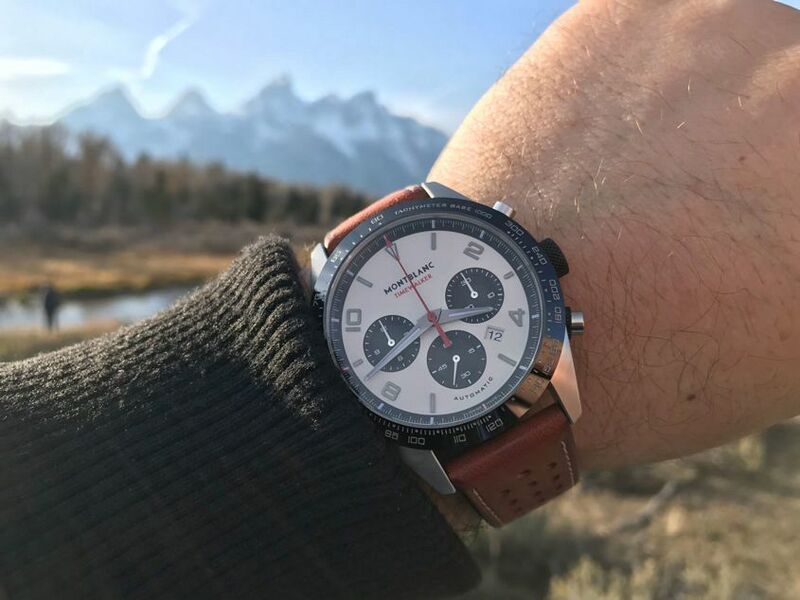 It really takes the TimeWalker Manufacture Chronograph into new territory, offering some genuine competition to other similarly priced sports chronographs. This TimeWalker is available either on a steel bracelet or this handsome, racing-style Sfumato strap.